This mirror was a yard sale "find." It's in great condition but all that gold just didn't do justice to the great detail on the frame. So, what's a girl to do? Paint it, of course! 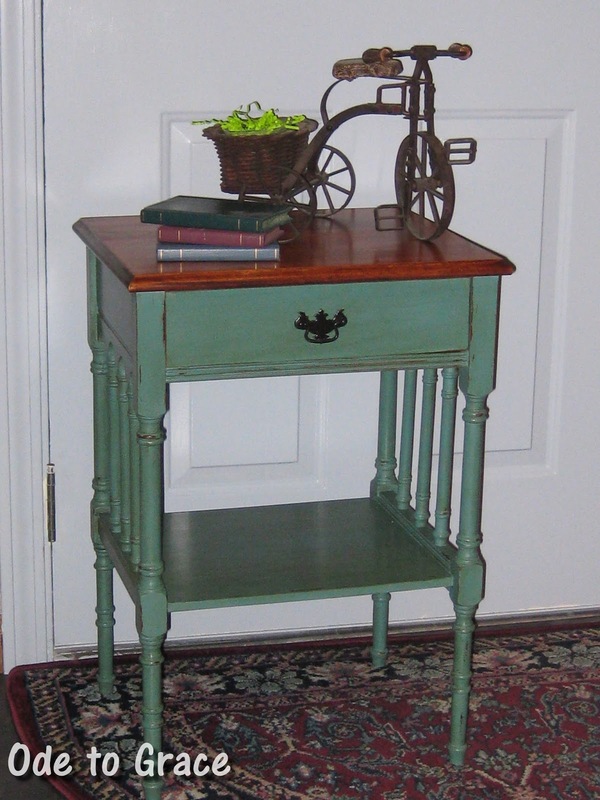 After a couple of coats of homemade chalk paint using Valspar's "Crocodile Smile" (who names this stuff? 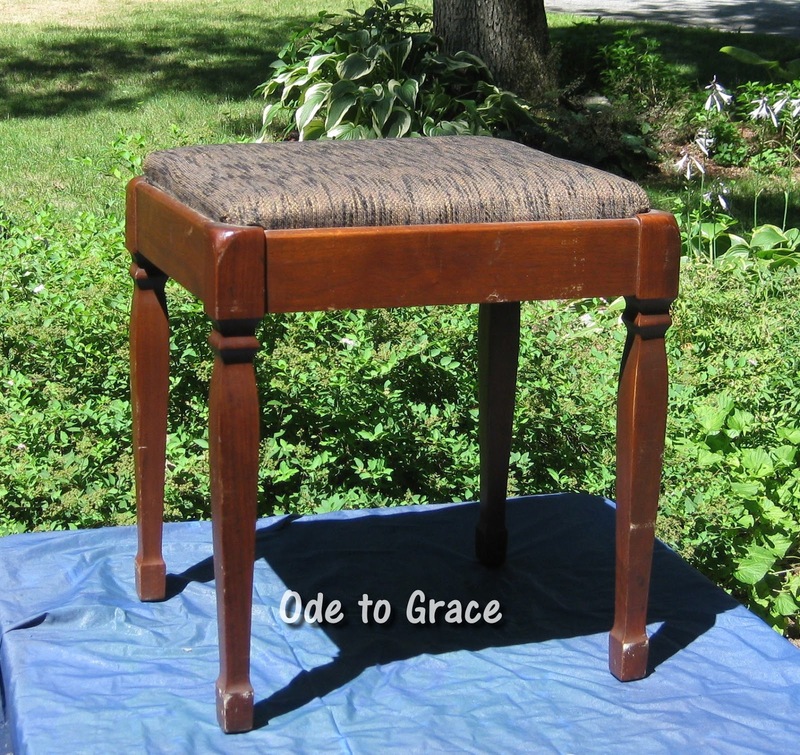 ), a coat of Fiddes Light Wax, then a coat of Fiddes Antique Brown Wax to bring out the details, I like it much better. What do you think? The mirror is in great condition, even though my cleaning skills are questionable. I can see it hanging over the sink in the bathroom to replace that boring builder-grade mirror! 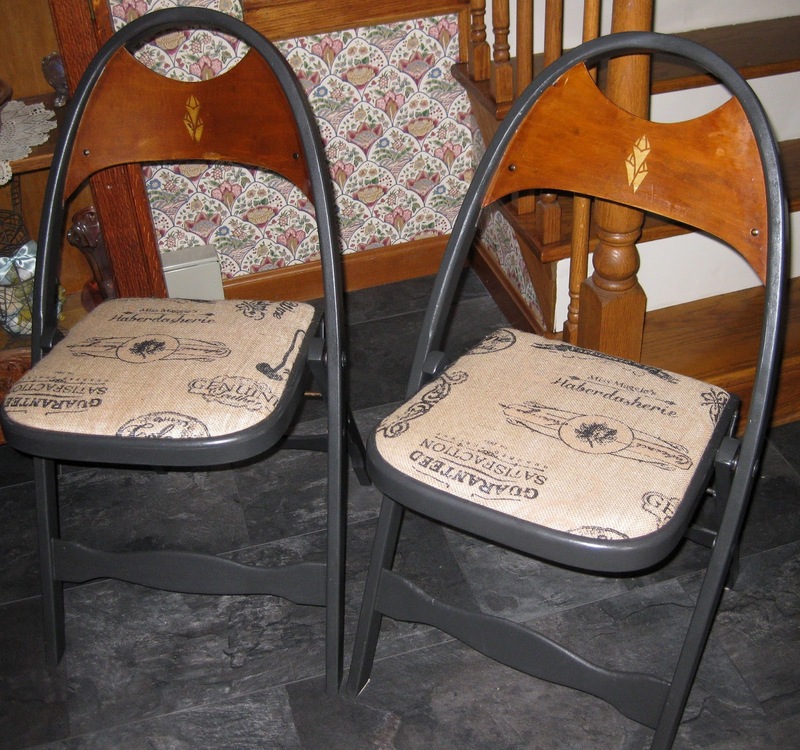 I finished the other two vintage folding chairs. I purchased three of them and am keeping one for myself. I've been using it at my computer for several days now and it's very comfortable! 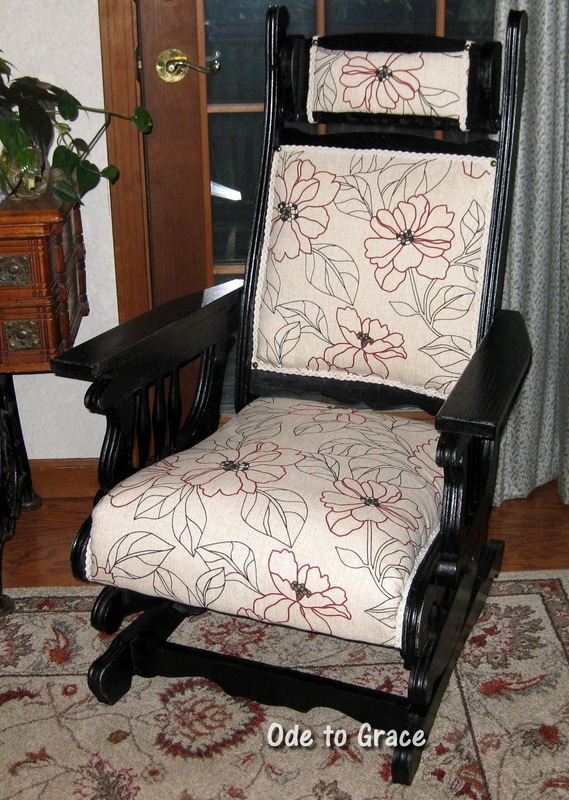 It replaces a folding chair that I picked up at Walmart out of desperation because when I was looking for a vintage folding chair, I couldn't find one (isn't that always the way?). This one has character and I like being able to fold it & put it aside when I'm not at the computer. The pair are available. 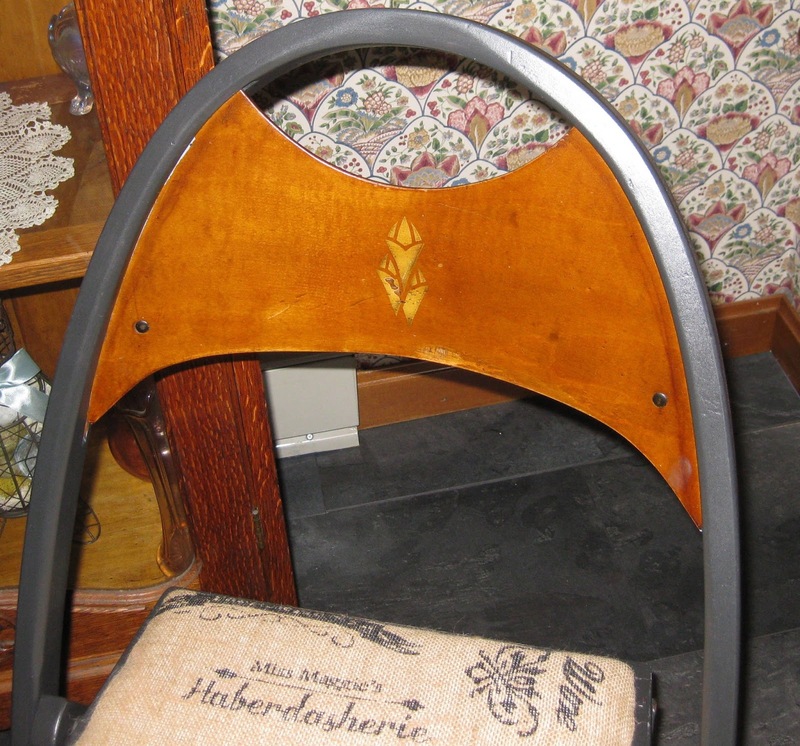 So, it took a little longer than I expected to put the finishing touches on the vintage folding chair but I think it was worth the extra time. 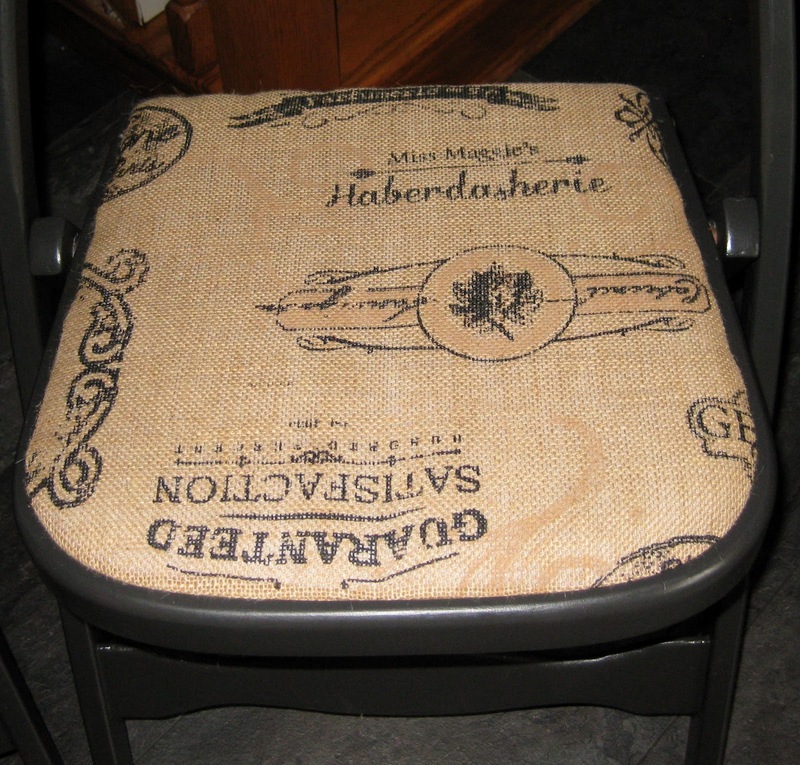 I'm not sure whether the stencil on the back is original to the chairs or not but it's unusual and I wanted to retain it. This one I'm holding on to but I have two more just like it that are in various stages of rehab. 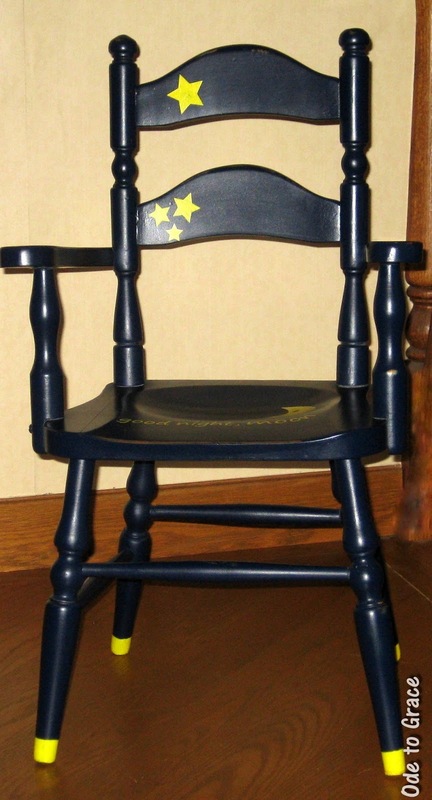 Should be ready soon if you're interested in a pair of folding chairs. 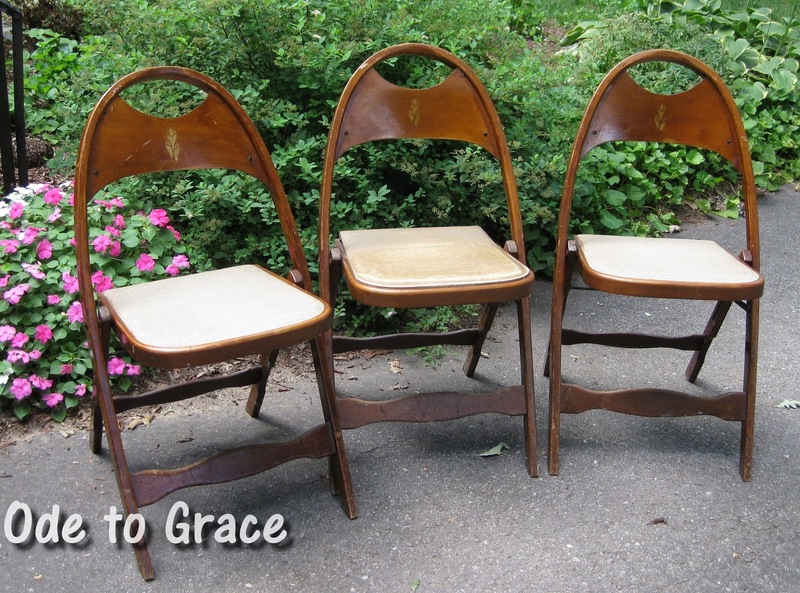 These are unusual and folding chairs always come in handy! I'm a sucker for vintage folding chairs, so when I spotted these beauties at a group shop I knew they were coming home with me. 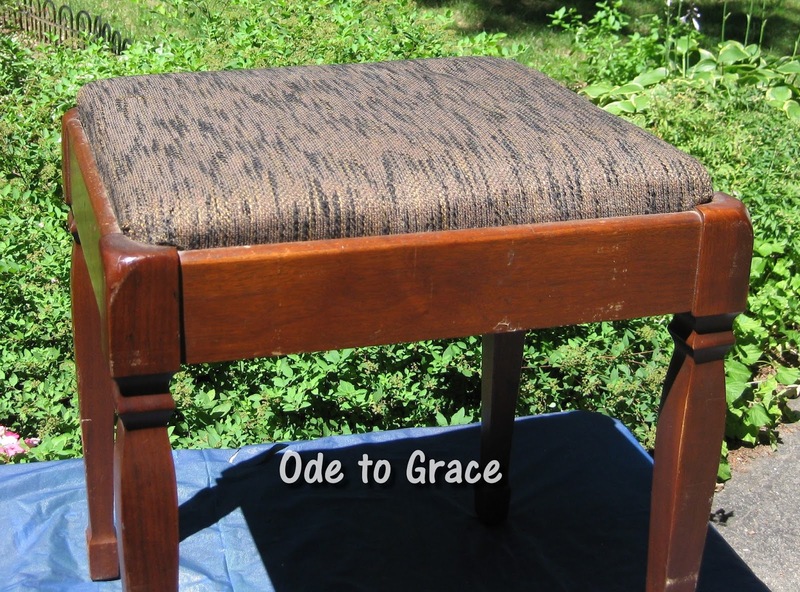 I'm just finishing the final protective coat on the first one and the newly upholstered seat will be attached once the protective coat is dry, so check back soon to see the new look for chair #1. 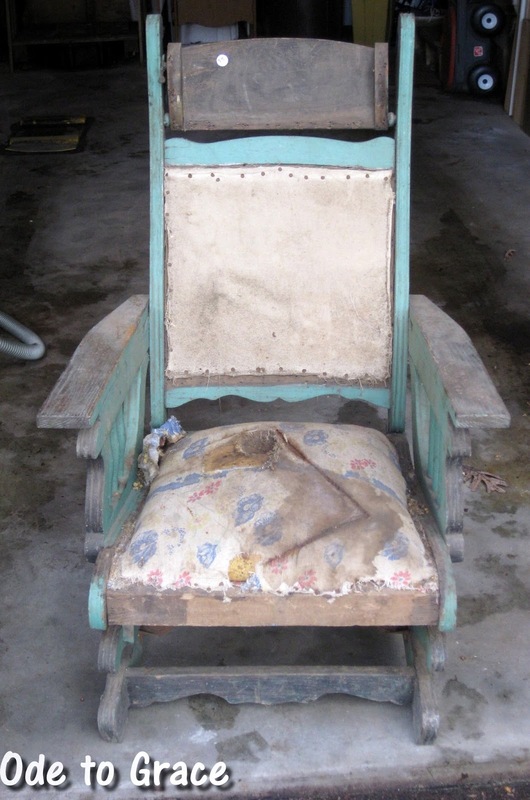 I picked up this little seat at an estate sale for a quick project. 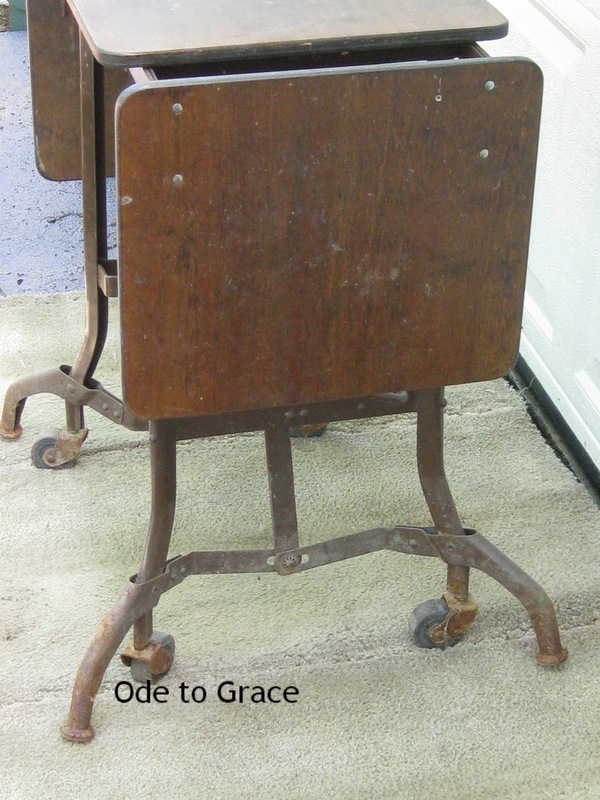 Very sturdy, not in horrible condition, just b-o-r-i-n-g. 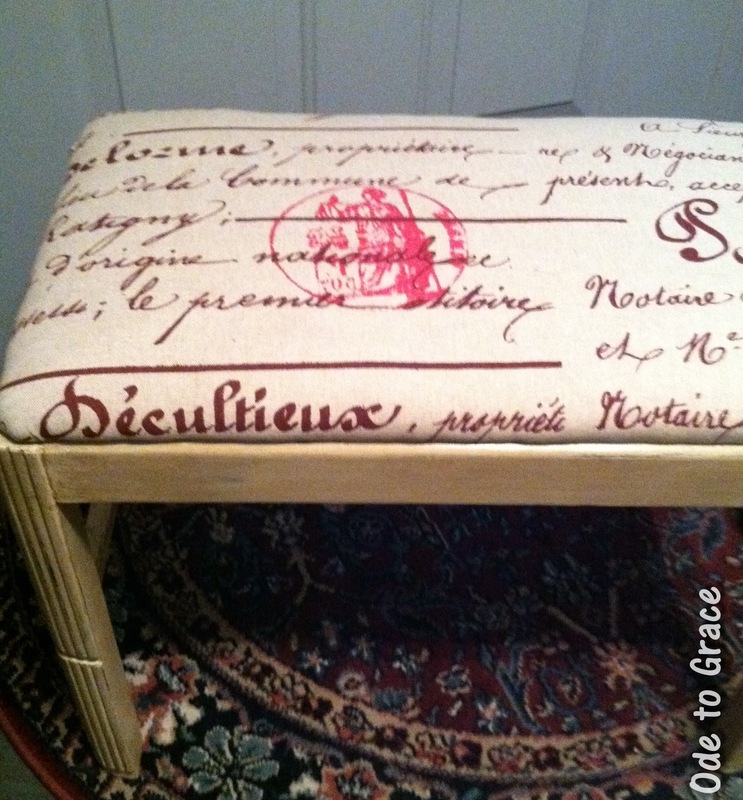 It's not boring anymore - it's Ruby Red with a woven seat of jute webbing and lightly distressed. Do you like it? Here she is all dressed up! and - just to remind you, here's what she looked like when I brought her home. What do you think - was it worth the time & effort to save her? Now you can see her bones. She was once a lovely shade of green and I hope to retain some of that color. She still has all her springs but definitely needs some padding and a new dress! She's actually a platform rocker and that small rectangular piece above the back is a head rest that has a mechanism to move it back & forth. Maybe there's hope for her after all. I found her in a barn, looking oh, so sad! There's no telling how many years she had been out there - she was dirty, stained, and I think the mice had used her for their home. I almost passed her by because she just looked "hopeless," but then I took a closer look. Beneath the years of dirt & neglect, I could see that she still had some possibilities so she came home with me. Here's what she looked like when I found her. (The hole near the back of the seat was where some critter tried to make a home.) Do you think there's any hope? 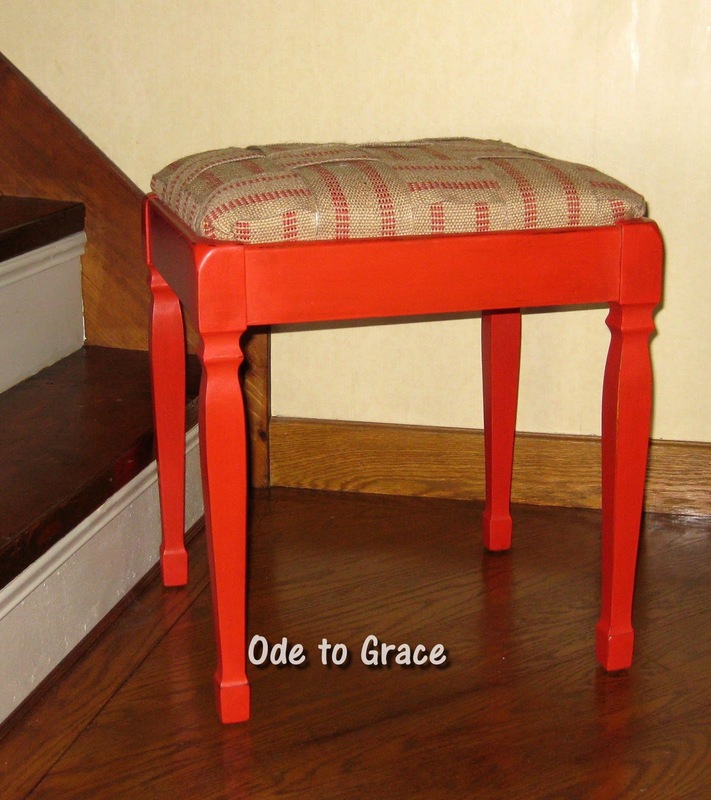 As you may have noticed, Ode to Grace is dedicated to my maternal grandmother. 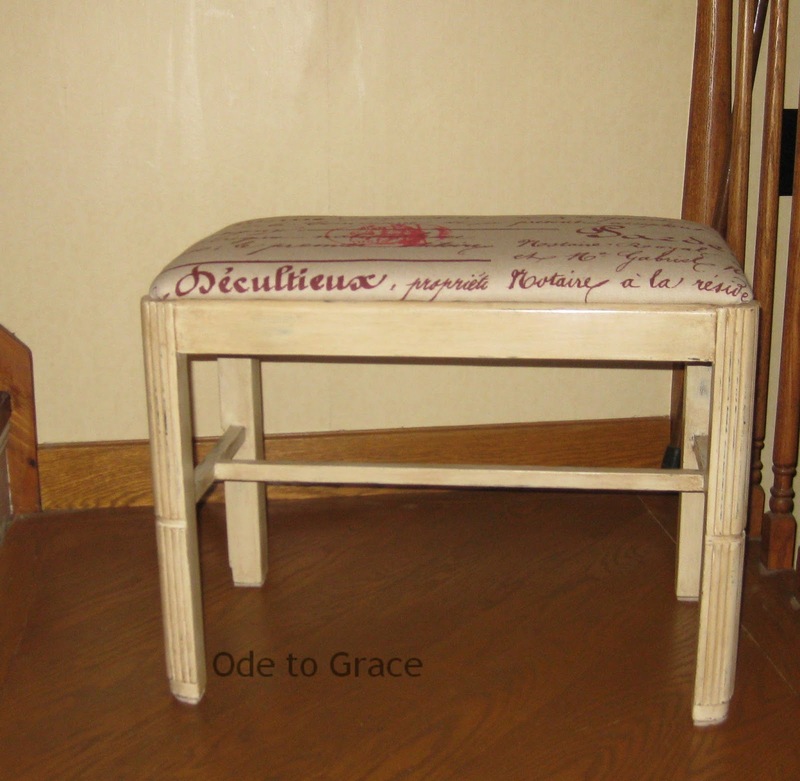 Though she's been gone several years now, I have some pieces of her furniture in my home and a blog dedicated to her wouldn't be complete without mentioning Frankoma Pottery. My grandmother was born & raised in Oklahoma - where the Frankoma factory was located. They are still in business though much has changed & production has been moved to Texas. She used to buy pieces for 10 cents at the "junk" stores and gave me her collection before she passed away. I still have those pieces and have added to the collection considerably over the years. 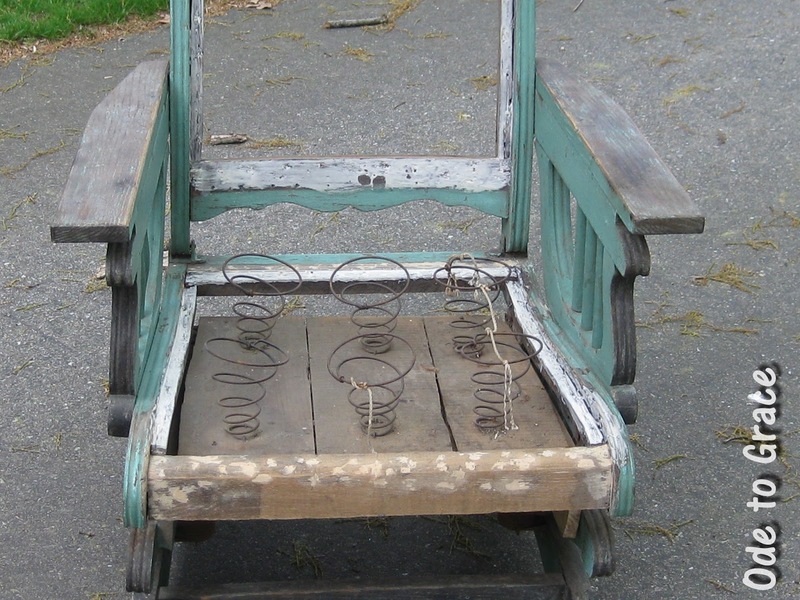 I used to buy it whenever I saw it (which wasn't too often in New England) at antique shops or flea markets. As my collection grew, I knew I needed to be more discriminating so now try to add only those pieces made from Ada clay 1933-1954. A couple of years ago, Martha Stewart featured Frankoma Pottery and my initial reaction was, "Oh, no it will be even harder to find!" That did seem to be the case for a while but since I would describe it as more "general use" pottery rather than "fine" pottery, the market returned to normal. I'm still working on my staging skills but on occasion I'll show a piece of Frankoma Pottery along with the upcycled furniture. 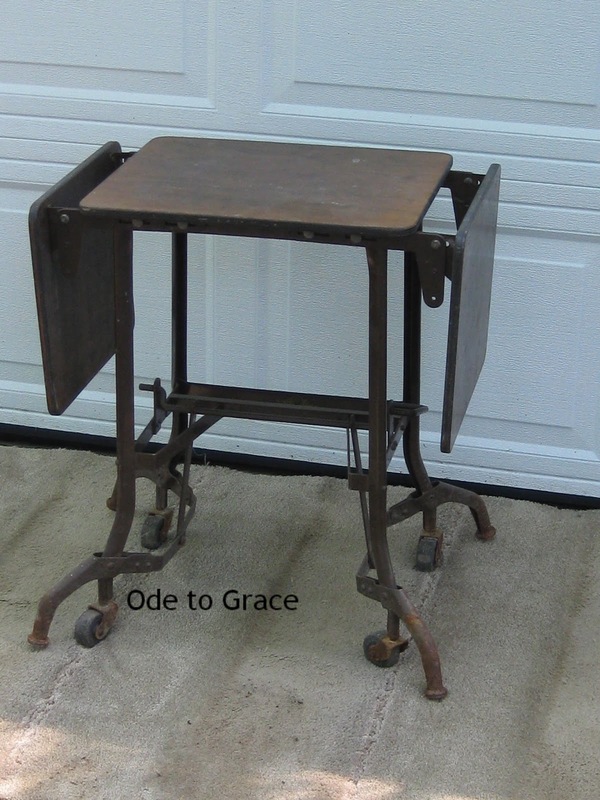 Even though typewriters; i.e., Smith Corona & Remington, are a thing of the past, the stands they sat on can still be found and are actually very useful! 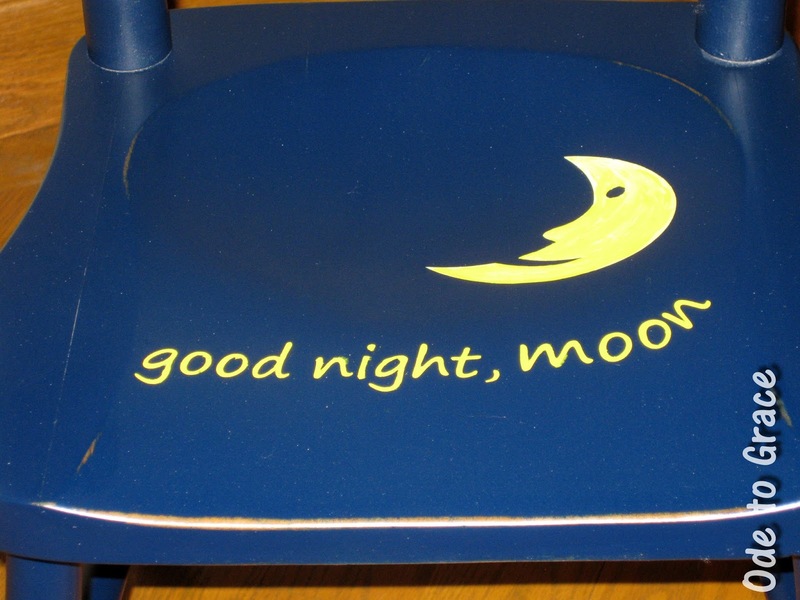 I found this typewriter stand at one of my favorite places - the cellar at an estate sale. There's no telling how long she had been exiled but thankfully she was still in one piece. Though she was very sad and quite rusted, I knew she had possibilities. Here she is after being cleaned and (mostly) de-rusted. 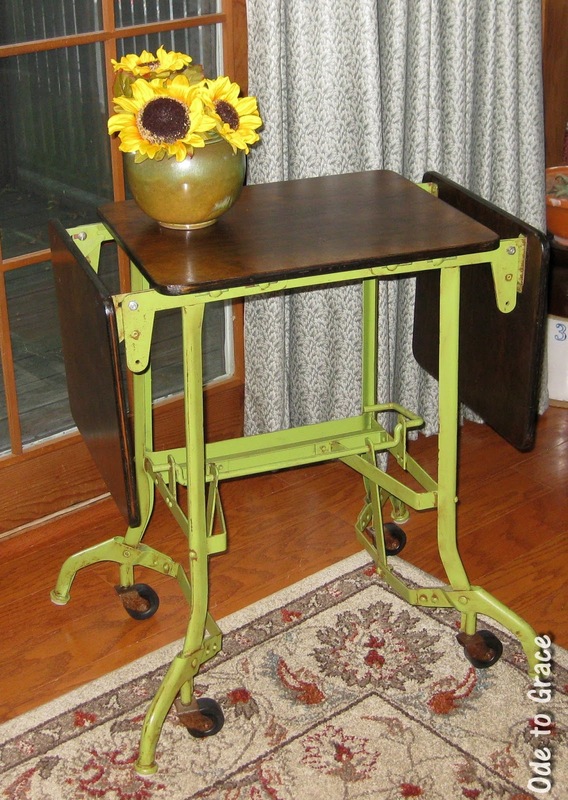 She was painted with Rustoleum Fern, then antiqued with craft paint in Iron Oxide. The veneer was lifted a little on the top but just needed a little glue to reattach it, then the top & two drop-down leafs were stained with Minwax Jacobean. Last, a couple of coats of Satin Polycrylic for protection. 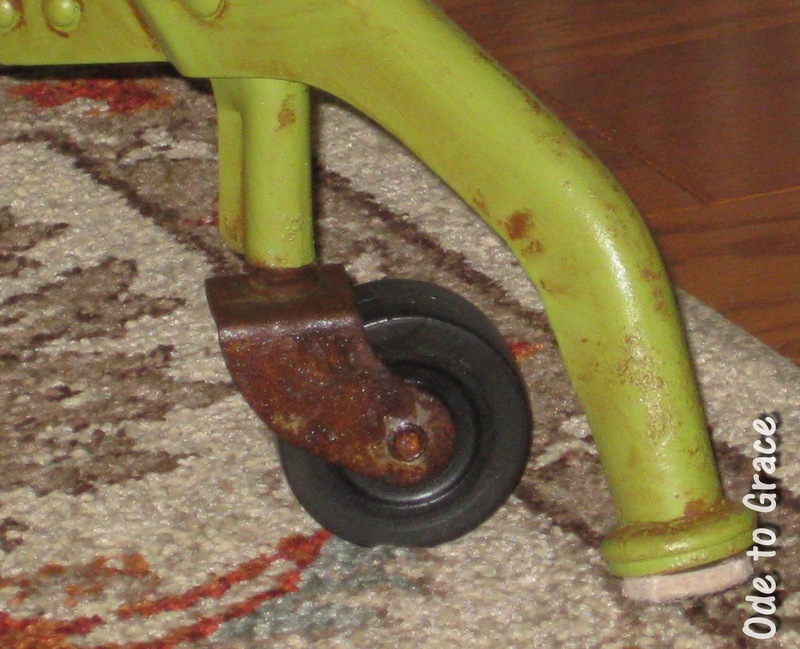 The casters on the legs are original and I like the rust on them so much that I decided to just wipe down the wheels with soap & water, then put a sealer on the rusted metal to preserve the look. 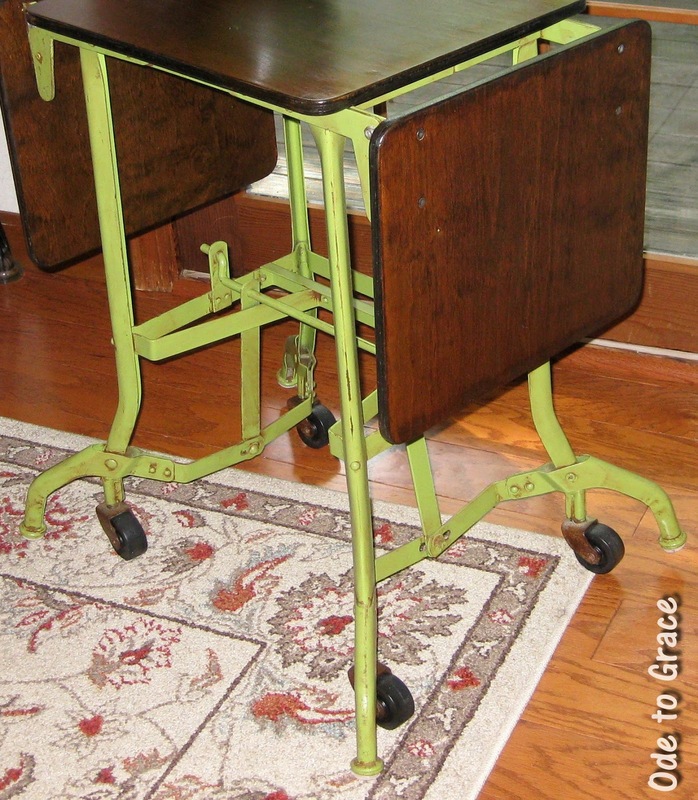 This is a very sturdy (it could hold a Smith Corona again) & portable small table and I have to say that I LOVE it! The industrial look of it combined with how versatile it is make this one a keeper (for now). 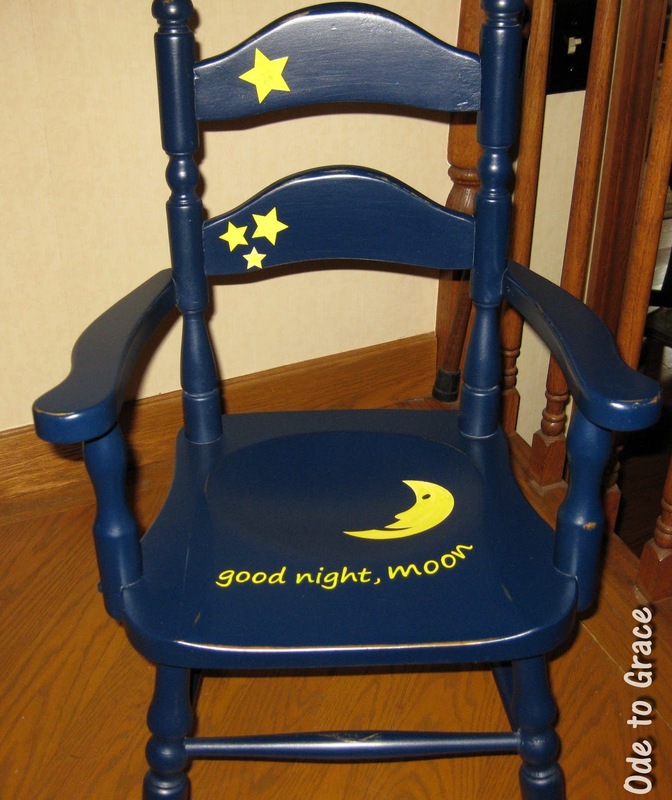 Sometimes a piece just speaks to you - and this child's chair must be loaded with memories. 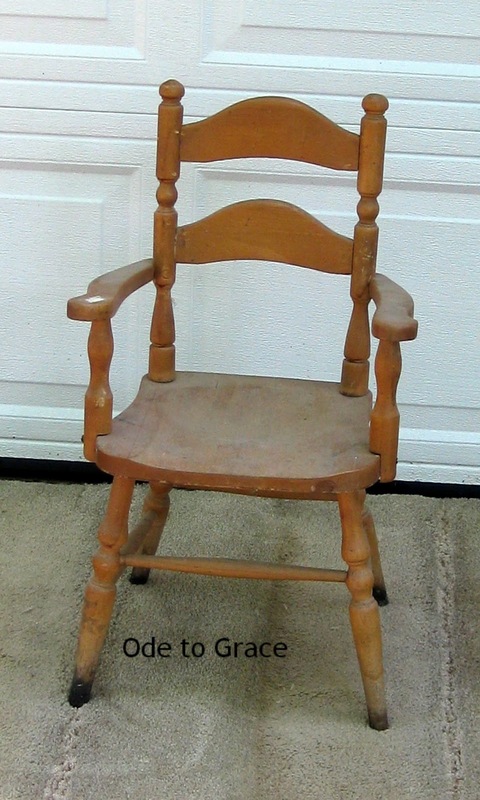 If you're like me, you always like to see the "before" so here's what he looked like when I found him in the cellar at an estate sale. I don't know how old he is but I'm sure he's provided some comfort to several little ones over the years. He's now sturdy, clean and ready to be loved. 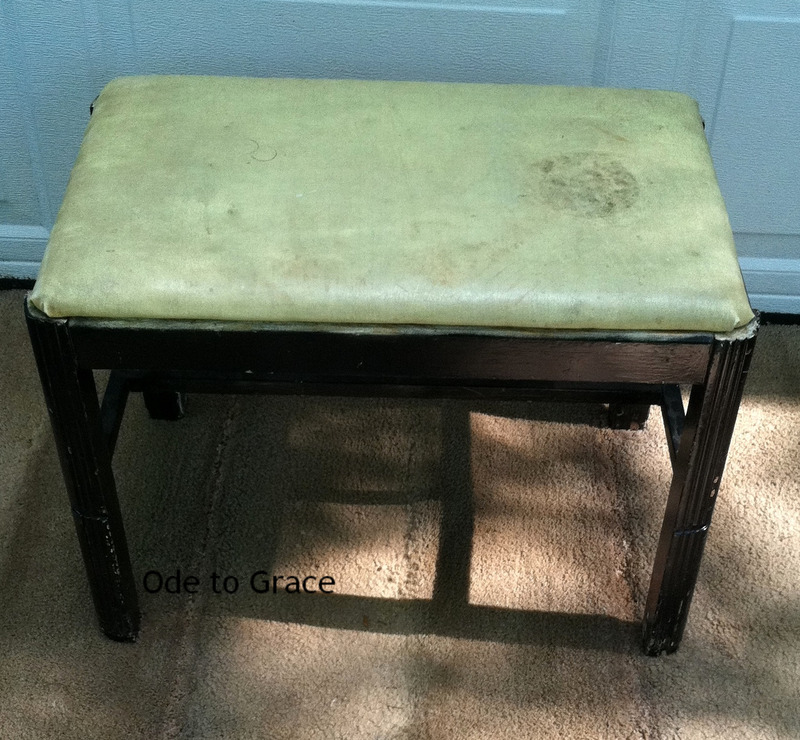 Her "vanity" was missing and this small bench had seen much better days when she was "discovered" at the semi-annual Boy Scout Troop yard sale. 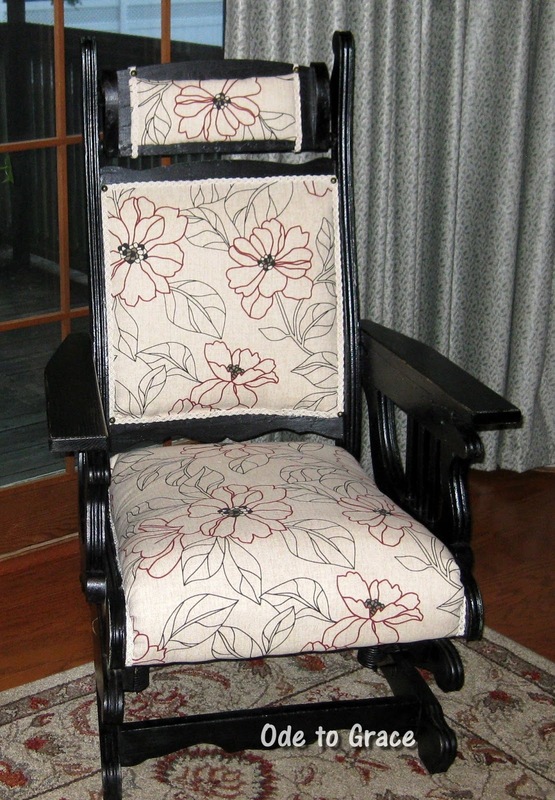 Her black chipped paint did not suit her and her seat was covered with grungy plastic (ugh!). 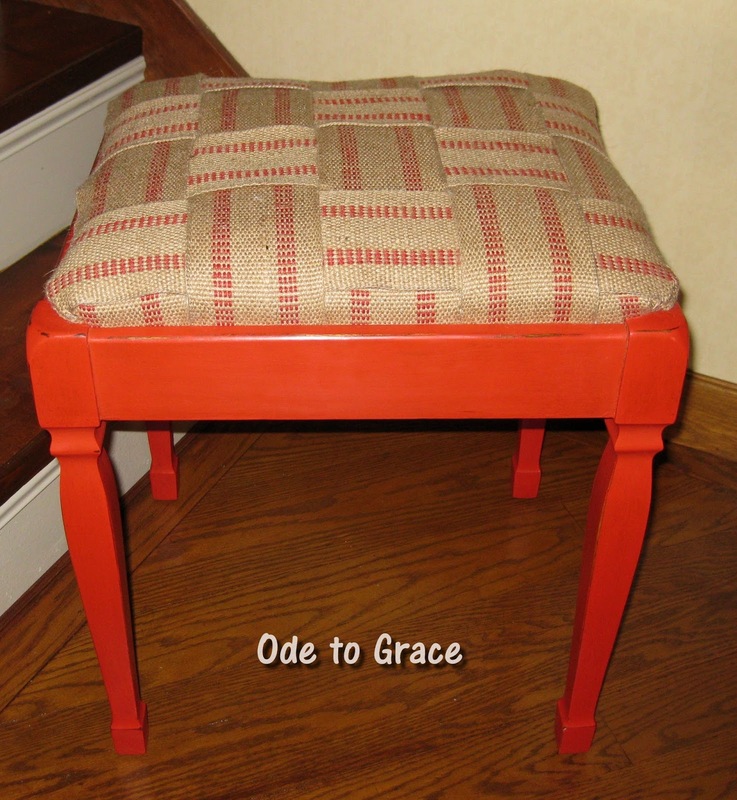 A couple of coats of homemade chalk paint using Sherwin Williams Antique White, some light distressing & antiquing to show off her lovely legs, a protective coat of Fiddes Wax in Rugger Brown and some new upholstery later, she would love to be paired with a vanity again or used as a small bench in an entry way or in any room for extra seating. What better way to start a new month than with a new blog? I've been mulling this over for some time and have finally decided to take the plunge. 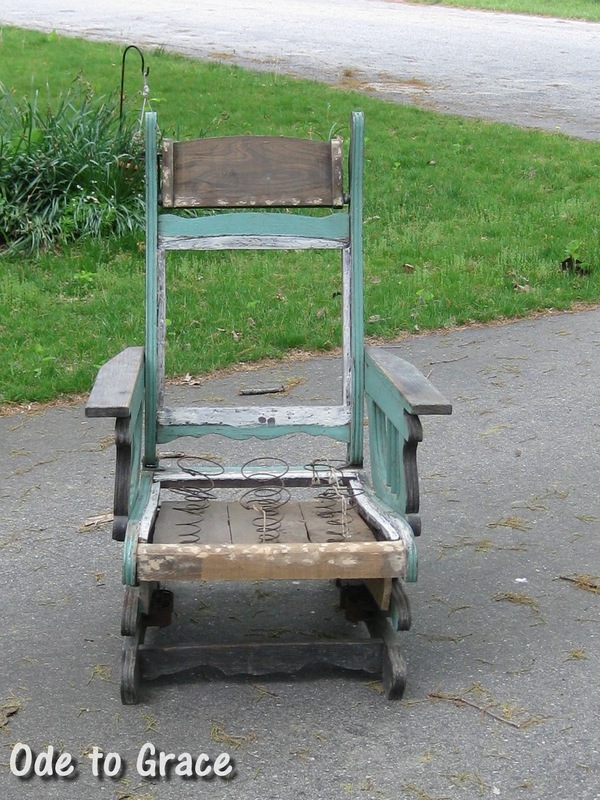 My hobby/challenge is to rehab furniture that has seen better days - pieces usually found exiled to the cellar, looking forlorn at a yard sale or sitting at the curb hoping to be rescued. I plan to share my exploits here - the good, the bad and the ugly! 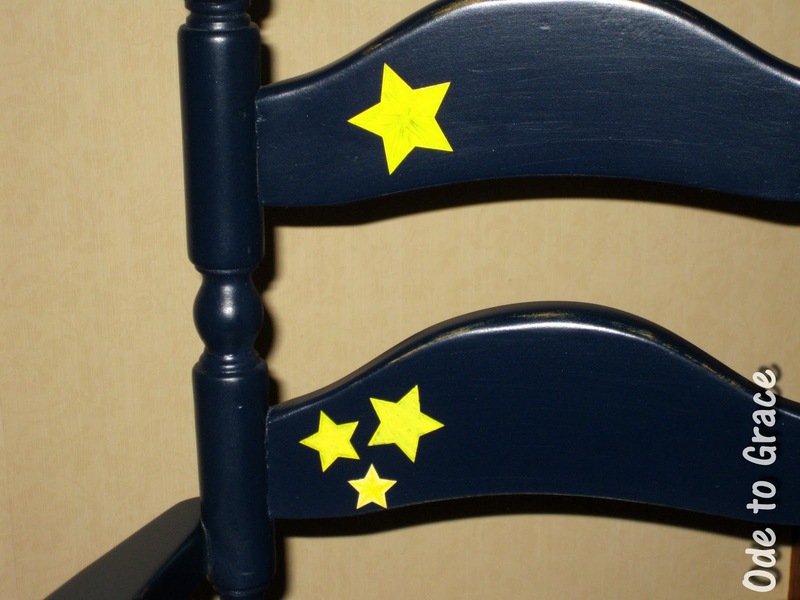 If you're into recycling, think of this as "upcycling" and stop by regularly to check out the "before" and "after" photos and whether there's a piece available that you may be looking for. 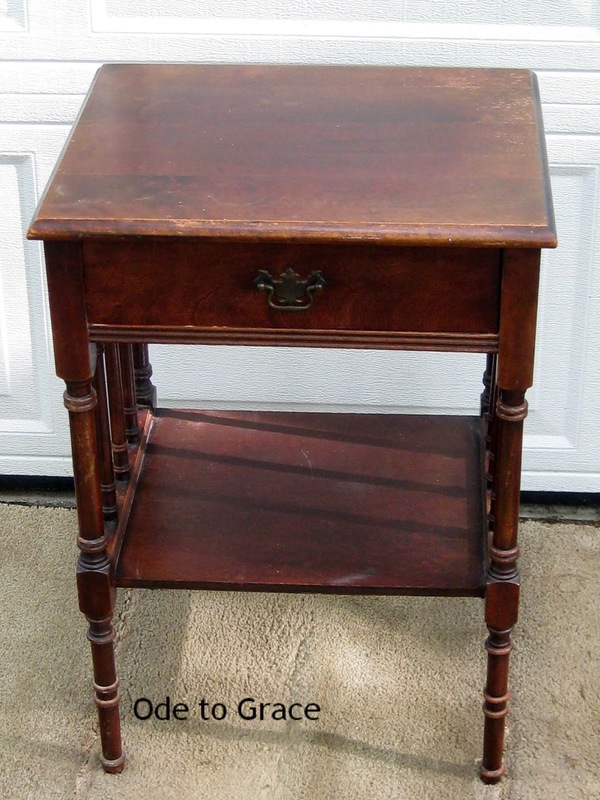 This nightstand/end table wasn't in terrible shape when I found her (yes, it's a "she") at a yard sale - neglected and very boring. The first step was to wash off the dirt & grime with TSP. Since there was no serious damage to her top, it was sanded & then stained with Behr, Belgium Walnut stain that I had in my stash. 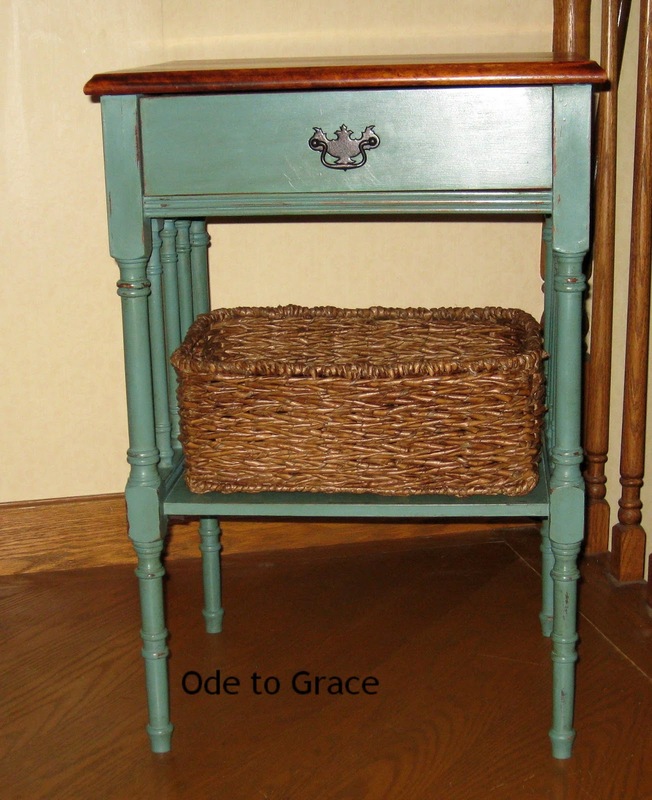 She was painted with homemade chalk paint (sorry, an "oops" color from Home Depot) and lightly distressed. Finally, she got a protective coat of Fiddes & Sons Paste Wax in Rugger Brown and was buffed nice & smooth. She's looking and feeling much better now and is very proud of herself. What do you think - with or without the basket?